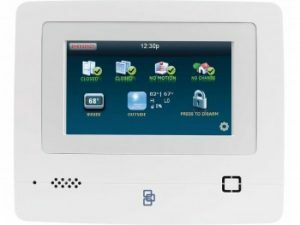 Why Switch to Interactive Alarms with Monitronics? You are paying your provider to care for your business around the clock; you deserve to have a company that has your best interests at heart. Interactive Alarms LLC is that company. We've built and expanded our business rapidly, by giving our customers what they want, and listening to their needs. Switch now and Lower your Monthly Bill! Interactive Alarms has competitive pricing on a variety of plans, find one that fits your needs! Receive top of the line equipment from a variety of Manufactures including, Interlogix, formerly GE Security, Honeywell, DMP, Brivo, Bosch, Axis. We protect your business while managing, Access, CCTV and Automation from the convenience of your phone! We've built and expanded our business rapidly, by giving our customers what they want, and listening to their needs. Give us a call at 888-291-5779 and find out how we can help you keep your Business secure with an interactive alarm system! 24/7 Monitoring with communication over POTS line (plain old telephone line) Includes Burglary, Medical and Fire protection. 24/7 Monitoring with Secure Cellular Communication over GSM. Includes Burglary, Medical and Fire protection. Cellular Monitoring plus Smart Phone and Internet Controls. Remotely arm/disarm system, see system status and event history, change user codes through Alarm.com website or mobile apps. Receive real-time system activity email & text notifications. *Remote access controls available including: locks, cameras, and alarms. Interactive Alarms serves the areas of Nashville, Franklin, Memphis, Chattanooga, Brentwood, Murfreesboro, Goodlettsville, Hendersonville, Cookeville, Gallatin, Clarksville, Smyrna, Mount Juliet, Hermitage, Lebanon, Dickson, Ashland, Portland, Tennessee, and Bowling Green and Owensboro, Kentucky. If you are interested in learning more about Interactive Alarms, contact our office today!